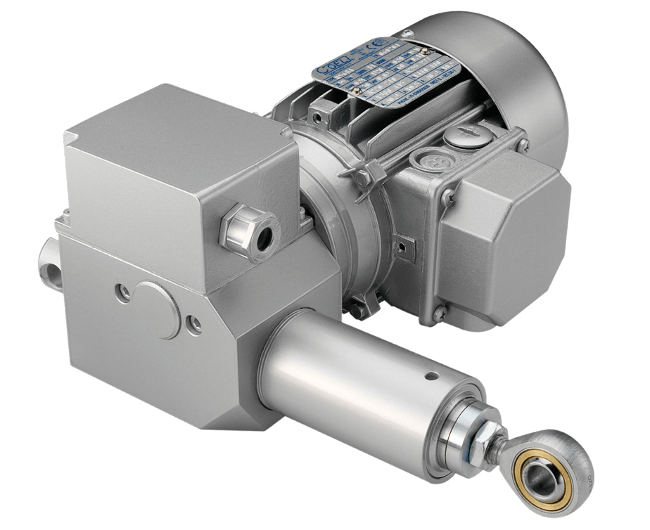 Electric linear actuator with orthogonal motorization, through worm screw – helical wheel, for industrial applications. 6 different sizes (ECO1, ECO2, ECO3, ECO25, ECO50, ECO100). Numerous possibilities of force / speed combinations for each size. Maximum Nominal Force equal to 100 kN. Linear speed up to 78 mm / sec. “T” version through the use of Trapezoidal Screw (self-locking). “S” version using Spheres Recirculation Screw. Drive by three-phase or single-phase DC / AC motor. Duty Cycle 25% for ECO1, ECO2 and ECO3. 20% duty cycle for ECO25, ECO50 and ECO100. 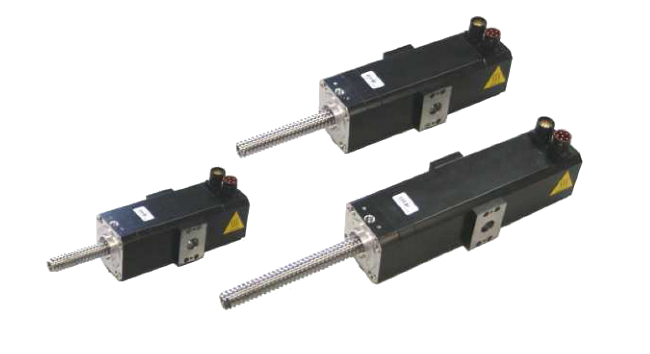 High efficiency electric linear actuator, with in-line motorization (with or without precision epicycloidal gear), for industrial applications. 5 different sizes (ECU0, ECU4, ECU5, ECU6, ECU7). Maximum Nominal Force equal to 60 kN. Linear speed up to 466 mm / sec. “S” version through the use of Spheres Recirculation Screw. Drive by AC three-phase / IP54 motor.